Washington - Federal safety investigators have been unable to conduct a full examination of the limousine involved in a crash that killed 20 people nearly two weeks ago in upstate New York because of a criminal case against the limo company’s operator. 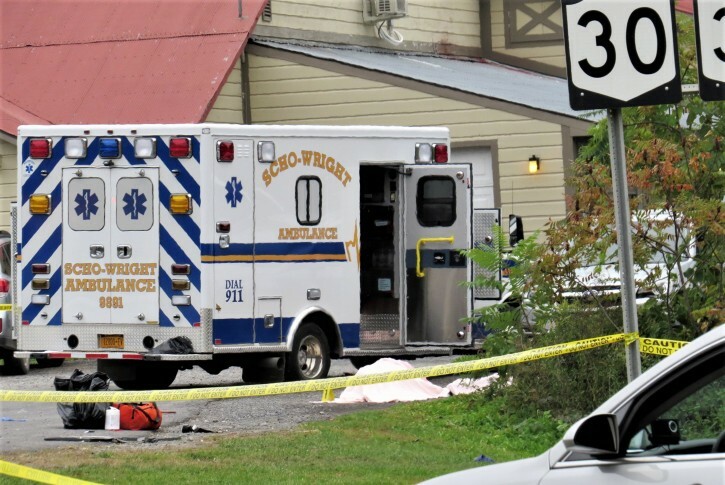 The limo remains in the possession of New York State Police after the limousine company’s operator was charged with criminally negligent homicide. The NTSB is expected to be granted hands-on access to the limo “in the next few weeks,” police spokesman Beau Duffy said. “The vehicle is the most important piece of evidence that will help ultimately determine the cause of the crash, and the extent of any criminal wrongdoing,” Duffy said in a statement Thursday. The district attorney in the upstate New York county where the crash occurred told police that the NTSB can conduct a “hands-on inspection of the vehicle” once the state police examination is complete and the limo operator’s lawyer has had an opportunity to access the vehicle, Duffy said. “The preservation of evidence is critically important to the criminal case; if the NTSB were allowed to handle evidence before it has been fully examined and processed by the state police and the defense, it would jeopardize the criminal case,” he said.